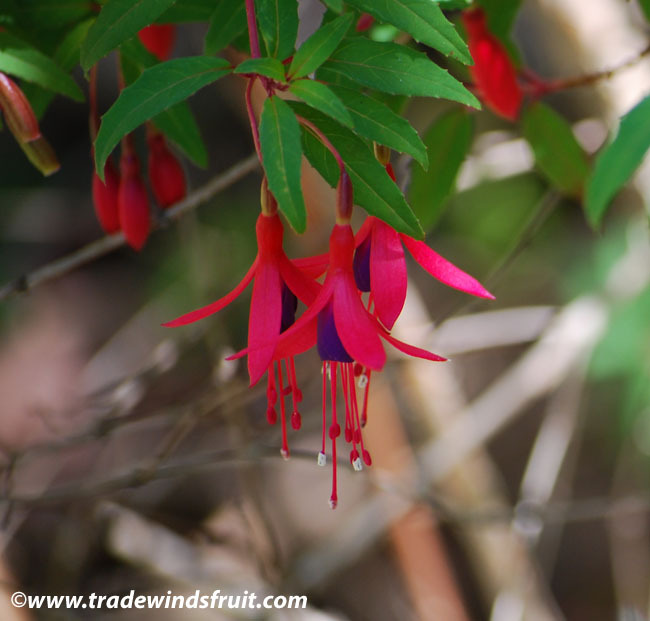 A bushy Fuchsia with profuse red-pink, tubular blooms. The little flowers are followed by small, approximately 1" juicy berries that ripen to a dark purple. The fruits are reportedly edible, with a mildly sweet flavor. 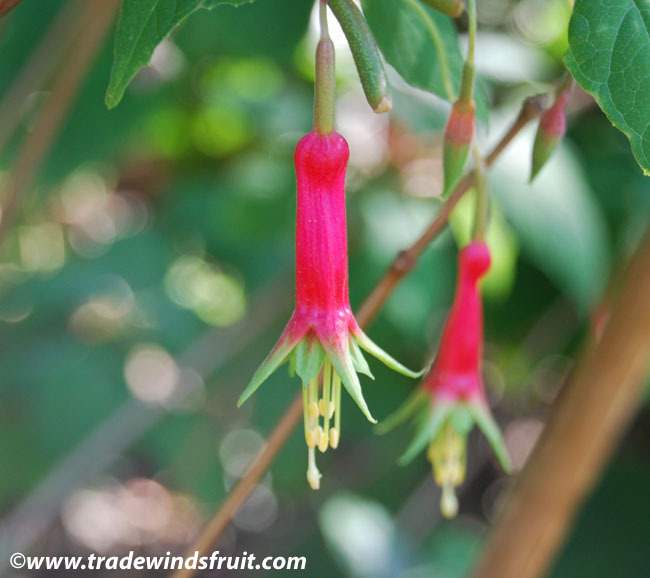 Seeds are not available for the Fuchsia. Please visit our seed store to view current selections. Bushy shrub to 4-8ft. It may remain low-growing and is fairly dense in growth habit, with much branching. 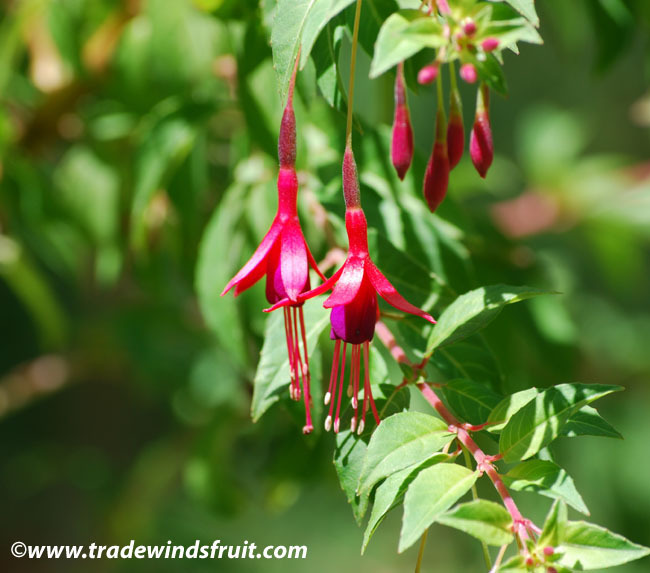 Pretty pink flowers are borne during much of the year, but more heavily in Spring and Summer. 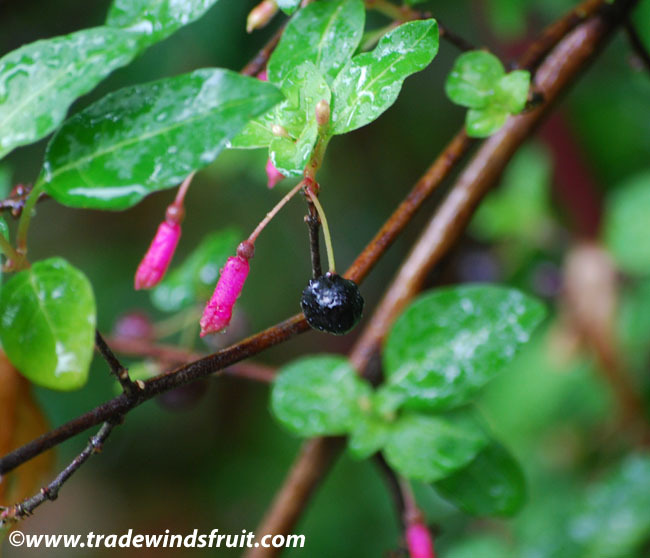 The fruits ripen a few weeks later and are quite popular with birds. Unknown. Probably hardy to at least 20-25F. 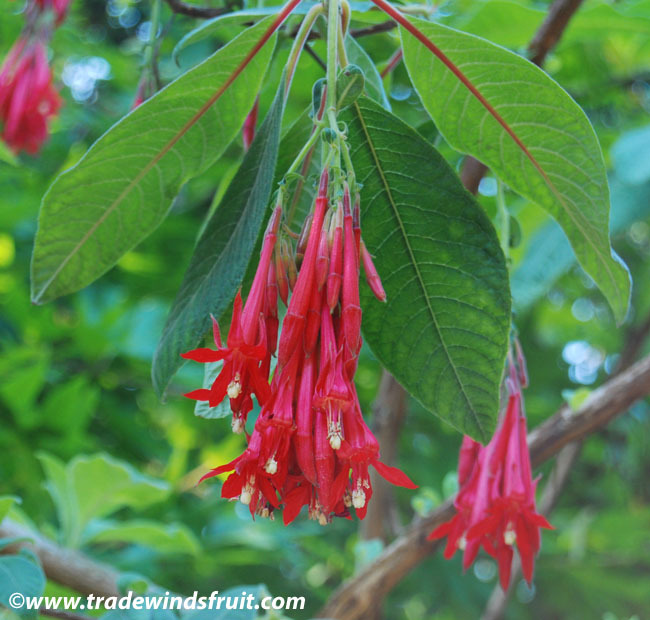 Grows very well in shade or part-shade. Water frequently throughout the year. Plant in well-drained soil. Protect from temperatures above 95-100F and dry winds or excessively low humidity. Does nicely in fog belts. It also makes a good container specimen. By seeds, which should be planted in well-drained soil. They generally germinate in a few weeks. 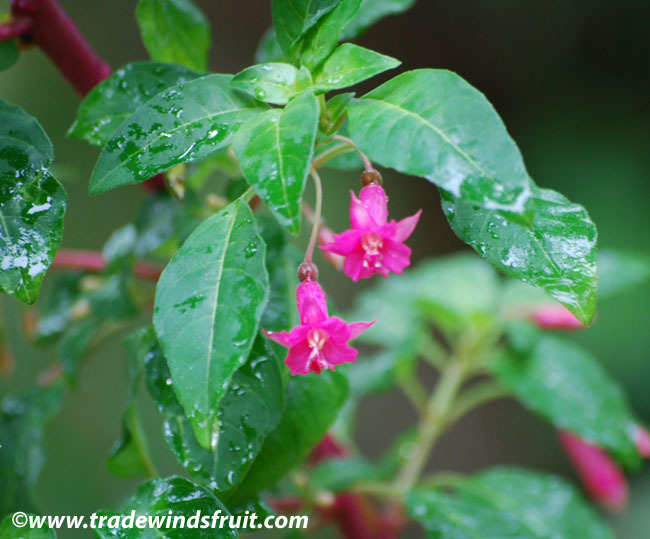 Propagated also by cuttings, which can be rooted in moist soil within several weeks. 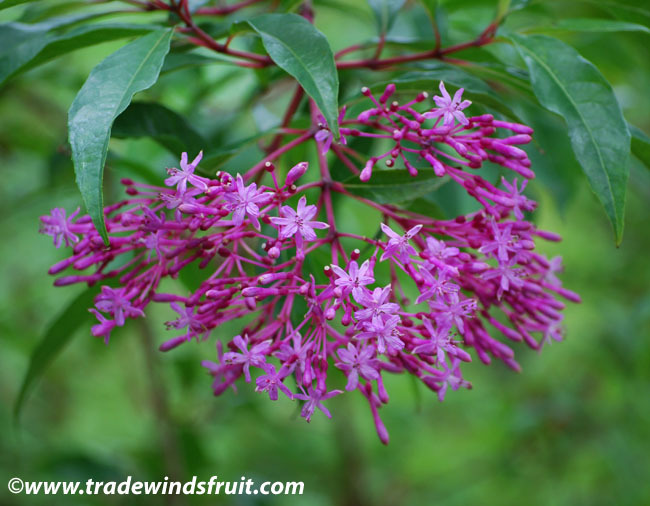 Planted as an ornamental, both for its edible berries and its pink flowers.